Chloé updates its iconic 'Lauren' flats in a chic slipper silhouette for the new season. 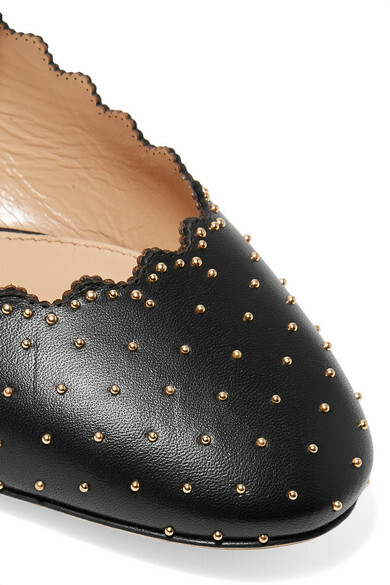 Framed with the house's signature scalloped edges, this pair has been made in Italy from smooth black leather and embellished with scores of gold studs. Wear them with everything from tailoring to dresses, adjusting the buckle to find your perfect fit. Shown here with: Chloé Blazer, REDValentino Shorts, Chloé Bucket bag.